Watching the Grand Parades is really exciting, fun yet tiring. The next thing that you want to do after the parade would be to find a place for you to sit down and relax and eat. Yes, watching the parade is really a tiring experience and it would really make you hungry. This is why we have mapped out several places where you can get a meal after the parades based on your location. If you happen to be in this area after the last dancers has gone through this place then here are several restaurants found near the area. 1. Hill Station – considered as one of the upscale restaurants in Baguio, their dishes are exquisite but also kinda pricey, if you are the type who would choose an upscale dishes then this is the place for you. 2. Rugged Hill Eatery – just several meters away from Casa Vallejo is a small carinderia that serves Bulalo. If you are up for a delicious bowl of soup after watching the parade and you happen to be in this area then this is the place to be. 3. Any Restaurant At SM – Yes the Casa Vallejo area is just a stone’s throw away from SM Baguio so if you want something good and affordable then you have several choices, for those craving for Korean Food though we recommend Gogi Nara. The second portion of the Upper Session Road we mentioned here is from Footstep Up To the Giant Christmas Tree or what is now the Panagbenga tree, here are some of the restaurants that we’ve tried and recommend. 1. Oh My Gulay (OMG) – located at the top floor of the La Azotea Building, although when you try to locate it via Google Maps it says that its along Diego Silang Street which is correct since the building is situated there but it is better for you to enter via the Session Road entrance. Caveat, they do not serve any meat, but they make eating vegetables really quite an experience, we liked almost everything in their menu except the rice toppings. Must try are the Puttanesca and the Eggplant Parmigiana. 2. Jims Retro Diner – If you are craving for meat, burger or pizza, Jims Retro diner is definitely for you, they serve giant Burgers and everything in their menu comes in Big Servings fit for someone who got hungry after a day of watching the parade. 3. Volante – if you happen to decide not to follow the parade up to the athletic bowl area and you want to have your breakfast then Volante’s breakfast menu is for you, do not forget to order their corsican rice it is really goes well with eggs, ham or sausage. 4. Solibao Session Road – Owned by a Baguio Pioneer, this restaurant serves Filipino Food, their grilled dishes are a must try. 5. Sizzling Plate – another Baguio original, they serve steaks on sizzling plates, aside from their steaks you must also try this Sans Rival. If you happen to be at the Lower Session Road Area here are the different restaurants that you should check out. 1. Tea House – One of the oldest panciteria in Baguio City, we say panciteria because they serve different kinds of pancit, from your common pancit bihon to pancit lucban and everything in between. 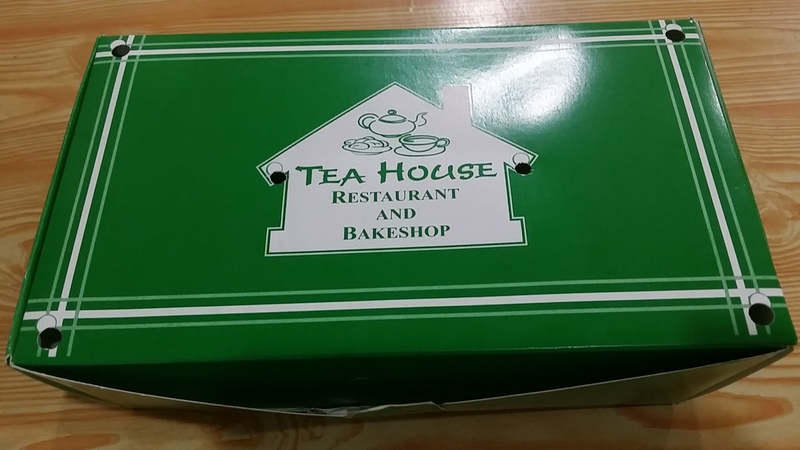 The Baguio Tea House is also famous for their cakes in a plastic container, does chona’s delight ring any bell? 2. Beanstalk Bistro – located at the second floor of the MPB Building at Session Road or popularly known as the City Center Hotel Building. Beanstalk Bistro boasts on its delightful coffee or tea brews. Match those brews with one of their decadent desserts. Session Road also have several fastfoods but if you want to eat where the locals eat then these are the places you should go to. If you happen to watch the parade along Harrison Road or anywhere near Athletic Bowl then here are some of the recommended restaurants that you should visit. 1. Beggang Resto Grill – this family owned restaurant is found within the Burnham Skating rink, its entrance is just several meters away from the entrance of Athletic Bowl. Beggang serves Filipino food, you must try their Crispy Sinigang and Sizzling Garlic Tuna. Their buko shake is delicious and refreshing at the same time. 2. Solibao Restaurant – just like the one in Session Road they serve Filipino food, you can also try their Bibingka and Lumpiang Ubod. 3. Good Taste Restaurant – one of the most visited restaurant because of the fact that their big servings and affordable prices apart from the fact that their food is really delicious. Try their Buttered Chicken, Steamed Chicken and their Beef Broccoli although we’re sure that most if not all of those in their menu are really delicious. 4. 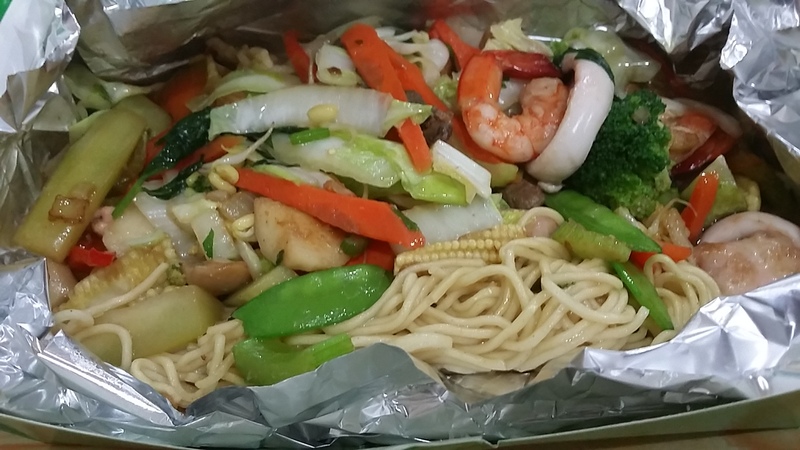 Central Park Restaurant – for authentic and creative Chinese cuisine, try Central Park Restaurant you will be amazed on their different dishes, whatever dish you order do not forget to also try their dimsum. 5. Sizzling Plate – their third branch is located beside Good Taste Restaurant, so if you are craving for steaks and meat this is the place to be. 6. Billy Goat – Located along Kisad road at the Hamada Building, they serve goat dishes and other Filipino Dishes, try their pinapaitan and their Turon you will be surprised on their own version of turon. If you want to get away from the chaos after the parade, here are some of the restaurants you should visit far from the Central Business District of Baguio. 1. Mothers Garden and Cafe – located at Fairview Quezon Hill, this restaurant serves dishes whose ingredients were mostly taken from their garden. Aside from that you can also visit their garden and feed the animals in their mini-zoo, they also have a mini zen garden and a mini strawberry farm, this is a restaurants where family would definitely enjoy away from the hustle and bustle of the city. 2. Ketchup Food Community – if you intend to visit Wright Park after the parade and you get hungry, Ketchup Food Community provides you with five restaurants to choose from. Each restaurant have their own specialty, we recommend trying out the half slab from Canto, the Kini-ing from Greenpepper, the Satay from Rumah Sate, the Pinakbet from Rancho Norte and the Flying Tilapia from Happy Tummy. The good thing about eating here is that you can cross order from other restaurants. 3. Amare Pizza – if you are craving for Pizza, try Amare, they serve brick-oven cooked pizzas and it definitely adds to the flavor of the pizza. Aside from their brick-oven their pasta and salads are also exquisite. Located at Albergo Building near Wright Park and Mansion House, this indeed is a Baguio original Pizza Place that you must try. 4. Tradisyon Restaurant – located at Azalea Residences Baguio at 7 Leonardwood Loop Baguio City, it is fronting teachers camp. We recommend this hotel’s restaurant because of the relaxed feel as well as the exquisite dishes that they serve. Their version of the Carrot Cake is a must try, you also must try their Salad drizzled with their signature strawberry dressing and if you are craving for lasagna their version is really meaty.